The Denver Art Museum (DAM) has just received a major standalone financial gift in support of revitalizing the museum’s North Building. The iconic Gio Ponti-designed North Building will celebrate its 50th anniversary in 2021 with $150 million in expanded galleries, site upgrades, and expanded resources for youth programs. The $25 million gift came from Museum Board Chairman J. Landis Martin and his wife, Sharon Martin. When upgrades are complete the North Building will bear their name in honor of their gift. “The North Building is considered one of the most significant objects in the Museum’s collection, and our family is honored to support the much-needed rehabilitation required to bring it into the 21st century,” said Lanny Martin at a ceremony announcing the gift. “The Denver Art Museum is a beacon of creativity, representing the incredible depth of the cultural community in our region and it is critical that we continue to invest in it for the benefit of the entire community.” The North building is the only Gio Ponti building in North America and was designed in collaboration with Denver-based James Sudler Associates in 1971. The improvements to the building will include bringing the public to a seventh-story observation area, part of the original design that was never realized. 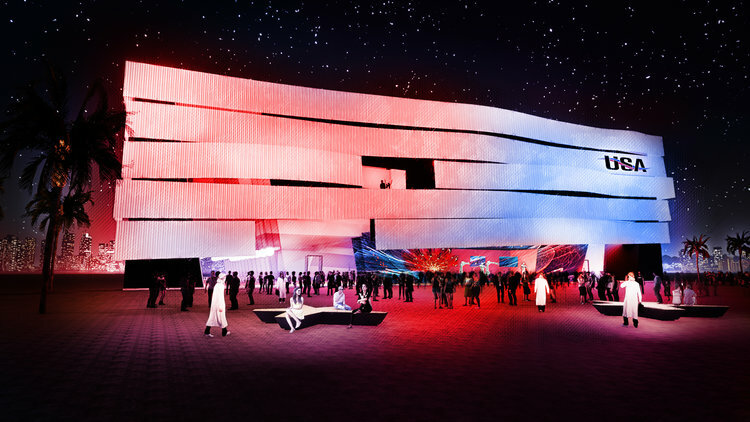 A new welcome center will also unify the museum campus, which also includes a wing designed by Danial Libeskind. The project was master planned by Tryba Architects in 2015. Formal designs have been led by Denver-based Fentress Architects with Boston-based Machado Silvetti Architects. The plan is to complete the upgrades and additions to the museum by 2021. LAX finally opened its shiny new Tom Bradley terminal, designed by Fentress Architects, to quite a hullabaloo in July. The throngs who showed up for “Appreciation Days” got to enjoy shopping, music, and even free LAX keychains and knickknacks. 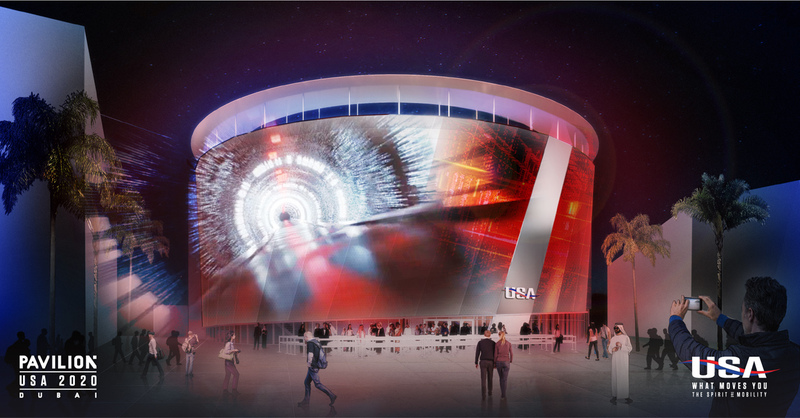 But one of the most prominent elements was missing: the public art. Major pieces by Ball-Nogues, Pae White, and Mark Bradford were all delayed for what one participant called “a lack of sophistication on LAX’s part” in shepherding such work through. In other words, the officials didn’t get how to pull this kind of thing off. Well never fear, despite the bumps, contract disputes, and many miscues, the installations will begin opening in late September and continue through the end of the year. Better late than never. Don't look now, but LAX—the airport everyone loves to hate—is starting to complete its major makeover. 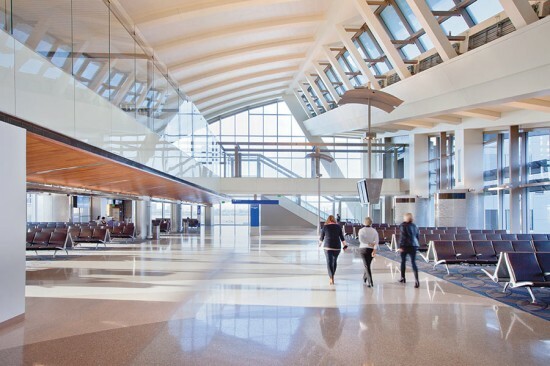 The biggest change is the brand new $1.9 billion (yes, billion) addition to the Tom Bradley International Terminal, designed by Fentress Architects and unveiled in 2008. Its curving roofline, emulating waves breaking on the nearby beach, pops up behind the original Tom Bradley structure, which itself was recently renovated (for the cost of $723 million) by Leo A Daly. 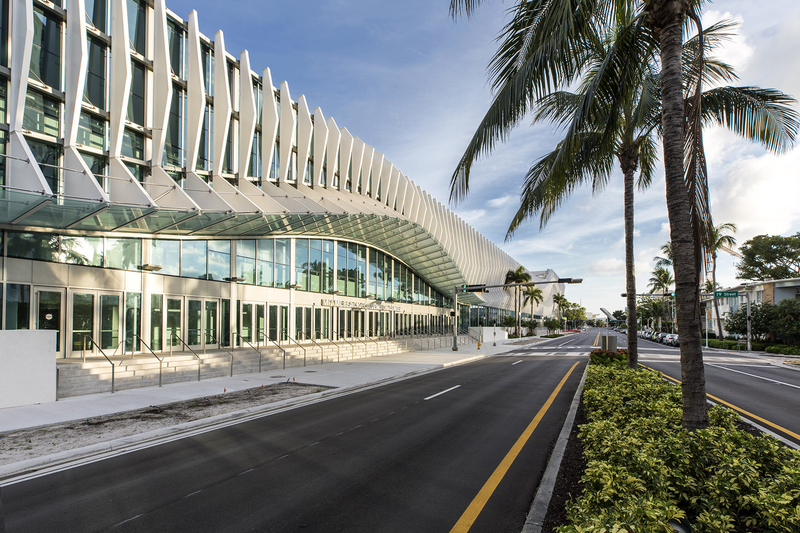 Inside, the soaring new terminal is comprised of echoing arches and massive vaults forming a 110-foot-tall Great Hall, which beams natural light through large windows and clerestories. 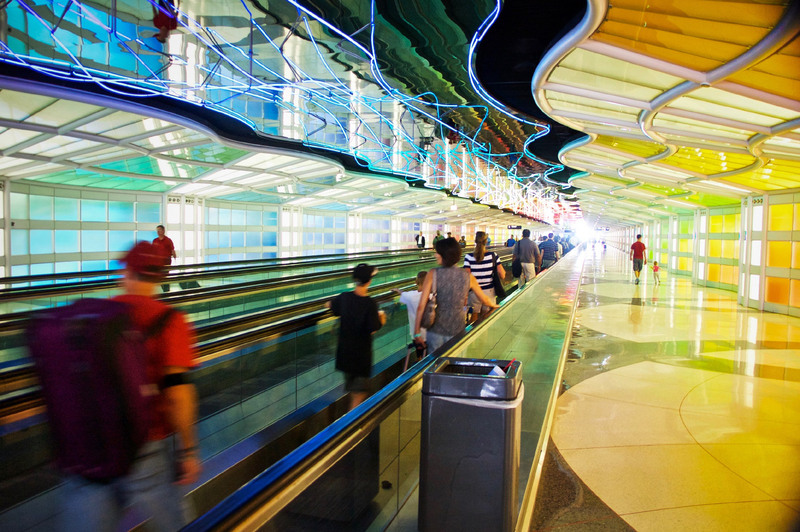 The terminal also includes 150,000 square feet of new retail and dining. 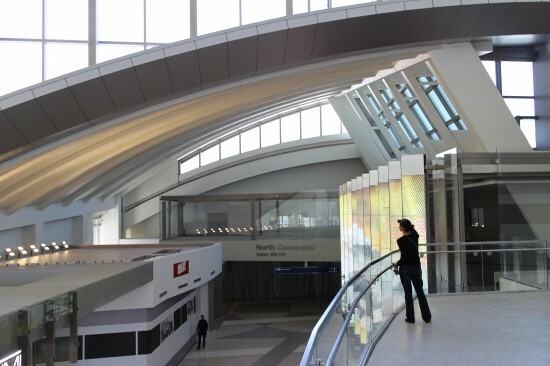 The entire new facility, including large new concourses, security facilities, light wells, and more retail, measures 1.2 million square feet, which doubles the space of the existing Tom Bradley terminal. This is just the tip of the iceberg. LAX's overall Capital Improvements Program budget is—wait for it—$4.1 billion, including a new Central Utility Plant, additional terminal renovations, and restoration of the Theme Building. Perhaps the most noticeable change just opened last night: AECOM's new roadway enhancements, including new LED light ribbons above roadways, sculptural, Y-shaped light poles, and fancy new metallic canopies outside of Tom Bradley. Watch for more details in the next West Coast issue of The Architect's Newspaper. The AIA Technology in Architectural Practice (TAP), in association with BIM Forum, The Construction Owners Association of America (COAA), and the International Facility Management Association (IFMA) have announced the winners of the 9th Annual Building Information Modeling (BIM) Awards which recognize the firms who best utilize BIM technology. Out of 16 submissions the jury selected two winners and three honorable mentions. 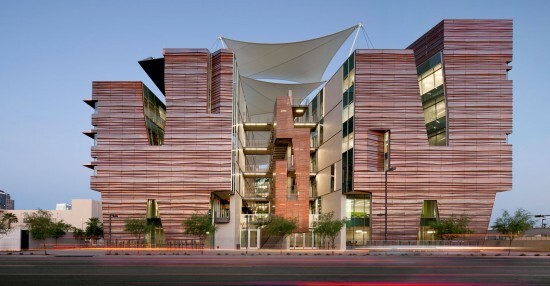 CO Architects took home the "Stellar architecture using BIM" prize for their work on the Health Sciences Education Building, Phoenix Biomedical Campus (pictured above). According to a press release the project showed "an exceptional understanding of universal BIM usage, team integration, and requirements for successful implementation from programming to as built." Fentress Architects and Mortensen Construction were recognized for the Ralph L. Carr Colorado Judicial Center in Denver and were awarded the "Delivery Process Innovation" prize. 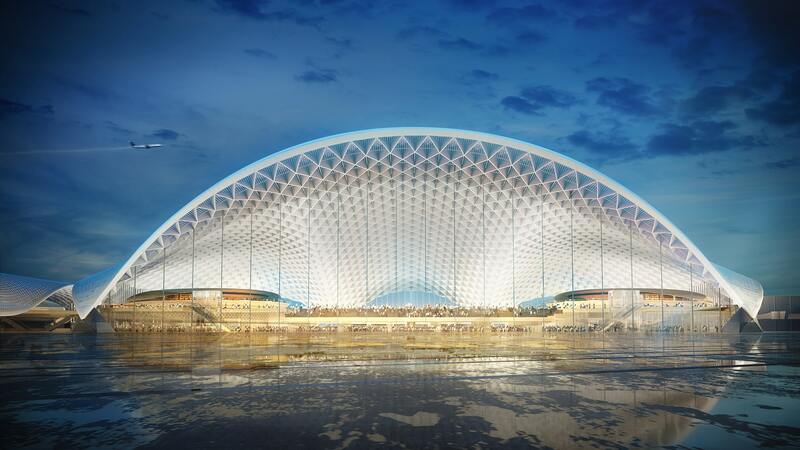 According to the press release the project exhibited "impressive statements of advanced levels of detailing in BIM, coordination, and cooperation." Honorable mentions were given to The Miller Hull Partnership for their design of the San Ysidro Land Port of Entry in Seattle, Collins Woerman and GLY Construction for the Puyallup Medical Center, Group Health Cooperative in Washington, and the University of Cincinnati their curriculum deveopment program titled "Building Relationships, University of Cincinnati College of Design, Architecture, Art, and Planning." The jury comprised of RK Stewart, the 2007 AIA president and current chairman of National Institute of Building Sciences board of directors; Harry McKinney, virtual design construction manager at Clancy & Theys Construction Co.; Tom Sawyer, senior editor at Engineering News-Record; Dennis Shelden, chief technology officer at Gehry Technologies; and Eric Teicholz, president and CEO at Graphic Systems.